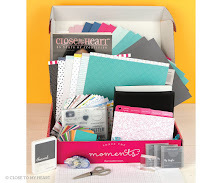 Did you know May is National Scrapbooking Month? Well it is and in honor of what should be a national holiday (lol) you can get the Free to Be Me paper collection for just $5 with your qualifying purchase of $50! Yes, you read that right! JUST $5! 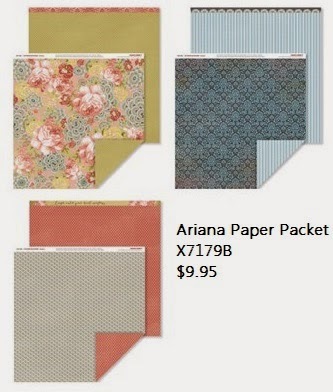 The paper collection features exclusive printed cardstock, vellum, and B&T Duos and, with a retail value of $11.95, and is a fantastic deal for products you can't get anywhere else. 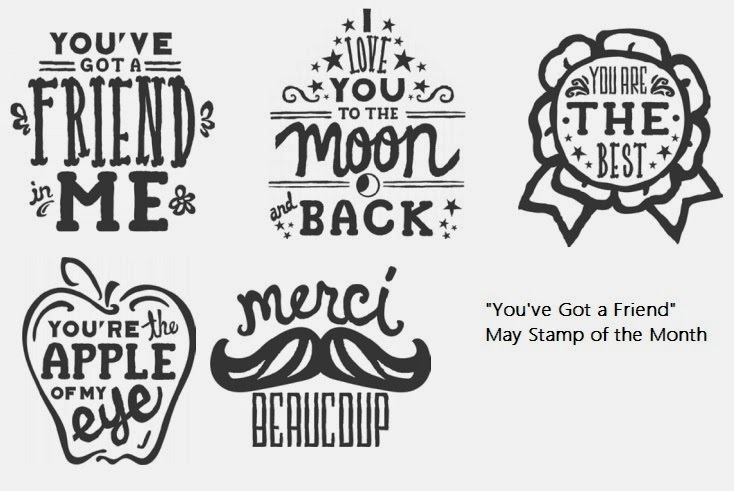 Plus, with your qualifying purchase, you will also qualify for the May Stamp of the Month, "You've Got a Friend" for an additional $5 (retail value $17.95)! This means May is the perfect month to double up on promotions, getting the paper collection for $5 and the May Stamp of the Month for $5 - that is a savings of nearly $20! Be sure to get your Free to Be Me paper collection in May and let your creativity take flight! Artwork items made with the May stamp set. Don't miss out on the campaign in May. It's too great to pass up! Contact me if you have any questions or if you would like to order it for yourself. 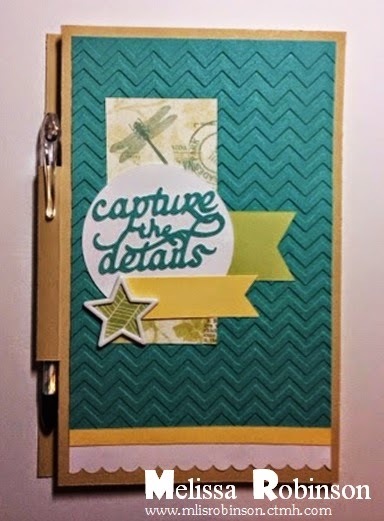 Can't wait for National Scrapbooking Month! Whether you are celebrating romance, family, or friends in your papercrafting projects, you will be head over heels for the together-themed cutouts on the Artbooking cartridge! With fancy frames, ornate edges, and faux flowers, you will be smitten with your finished products! Check out this fun video and expect to be inspired! Let me know what you liked or learned in this video by leaving a comment below. Any technique you intend on trying? The Lollydoodle cardmaking kit, which costs just $24.95, includes enough materials to make 15 fresh and fun cards like these! Aren't they too fun?! The kit includes the items shown below and full instructions - a kit too good to pass up! 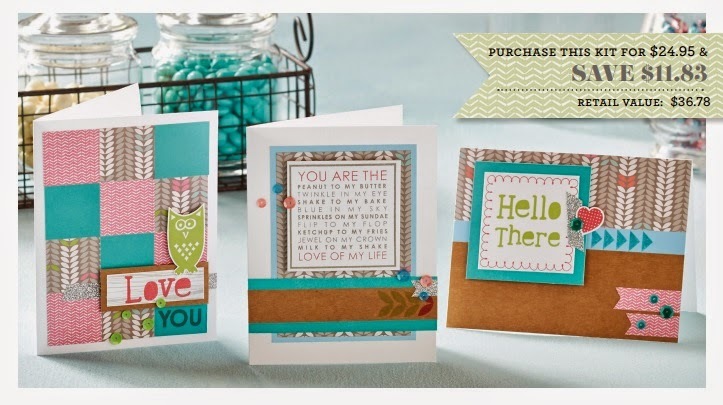 We offer several Workshops on the Go, card or scrapbook focused, which are priced lower than if you were to buy the items separately plus, they include an exclusive stamp set not available otherwise. You can find a link to those items by click here. Let me know which one you would like on your next order! I am so thankful it is Friday! It has been a busy time of the year, planning for end of year events while also preparing for summer school. No rest for the weary! :) This weekend I intend on taking time for myself and my hubby, a little down time if you will - which is much needed. 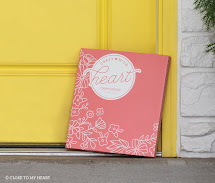 If you are not aware, the creator and CEO of Close To My Heart, has a wonderful blog which a lot of fun papercrafting ideas. Today I am going to direct you there. Be sure to bookmark it and check back often. Click HERE to visit her blog. 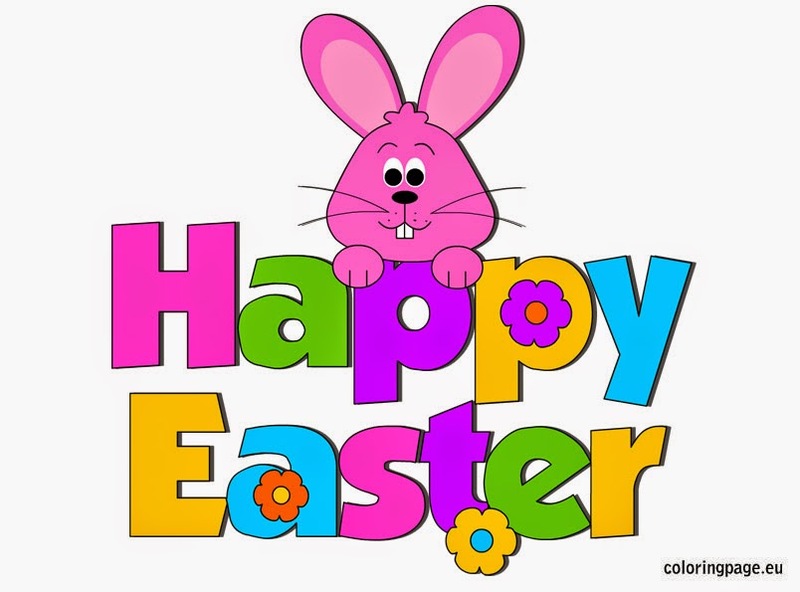 I hope you are enjoying a blessed and enjoyable Easter day! Thank you for joining eight members of the Rockin' Ink Stars Team who are showcasing artwork through this Blog Hop. We have been asked to create artwork that is Spring-themed. This is the least expensive bouquet of flowers I have ever had and much more beautiful, don't you think?! It cost me less than $5 to create and I am thoroughly pleased with the results! Now...to figure out where I want to put it. Home office? Work office? 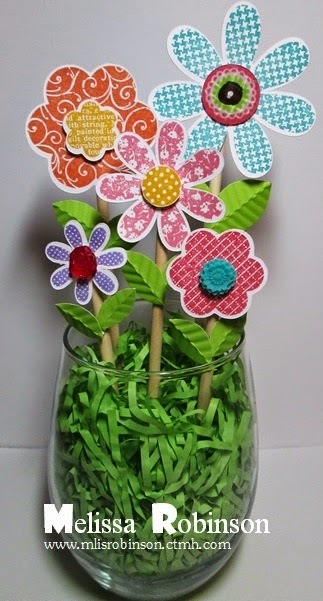 I used a "glass" bought at the Dollar Tree ($1), wooden rods bought at Walmart (package for $0.72), green grass also from Walmart (less than $1) and then White Daisy Cardstock, different colors of ink, a stamp set and various types of bling that I had on-hand. 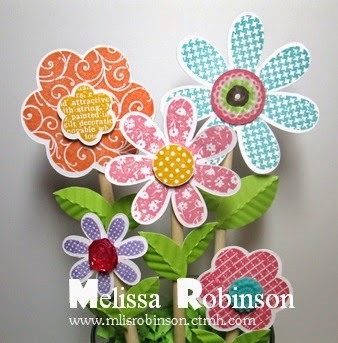 I used this tried and true stamp set called "Hooray Bouquet" to create the various flowers. To make the flowers, I folded some Pear cardstock in half, passed it through a paper crimper at an angle and then cut them by hand. They are leaves so they don't have to perfect. I had fun making this fun spring creation and hope you like it! Please feel free to leave a comment and let me know what you think of it. Then, move on to Joy's Blog to see what fun artwork she has in store for you. One of the things I loved as a child (and still do as an adult) is dyeing eggs. I enjoyed seeing the various Easter egg hunts that took place on Thursday at our elementary school. 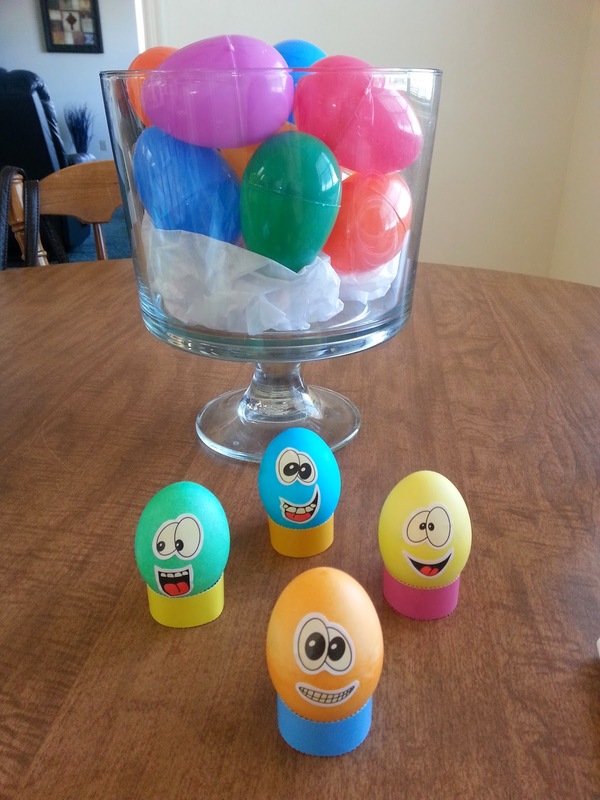 The excitement in the children's eyes as they colored eggs and then hunted for them...priceless. It brought back so many fond memories. One of the grade levels made baskets out of gallon milk cartons. Remember those?! Amen! 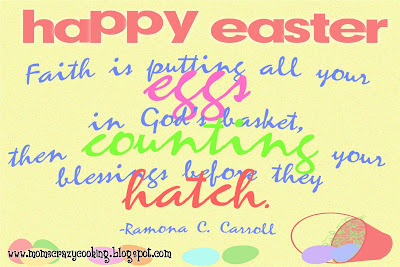 Have a blessed Easter Sunday! 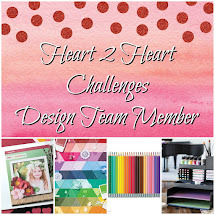 This month some fellow Close To My Heart Consultants and I are highlighting our NEW Embossing Folders. You can choose from five patterns and I must tell you...they are TOP QUALITY! Click here to see them all. If you are coming from Judy Faye's Blog, you are on the right track! You can find a list of the blog participants by clicking here. Now...keep scrolling to see what I have designed for this hop. 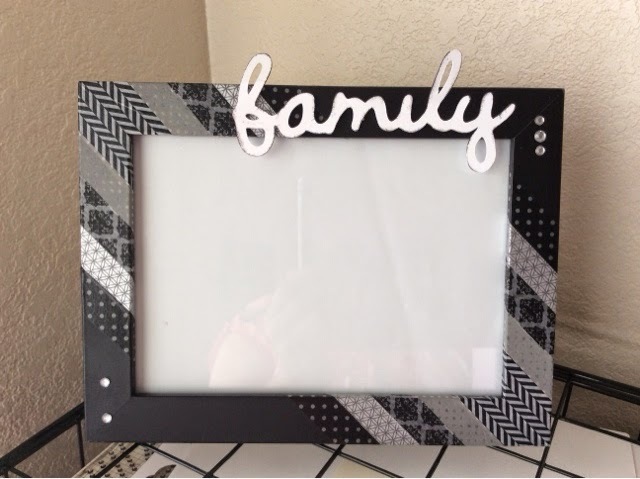 I decided to use the Chevron Embossing Folder as a focal point for my artwork item. 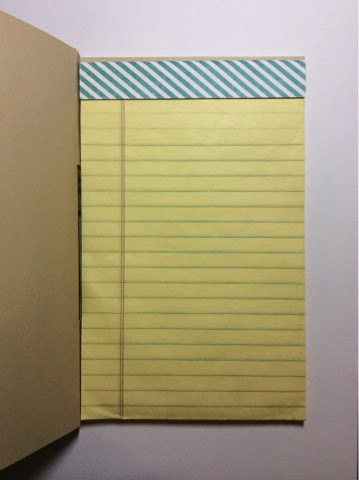 I covered a 5" x 8" notepad as a fun gift for a lady at work. I used the pattern idea found on this blog - http://jentapler.blogspot.com/2008/04/nifty-notepad.html - to create the cover for my notepad. I adjusted it to have appropriate directions for the larger notepad. (Measurements will be provided on a post later this week.) I love how the pen holder is attached and part of the pattern. This is the inside of the notepad. You have to be sure to cover the not-so-pretty top area with some B&T paper that coordinates, of course! Thank you for taking the time to stop by. 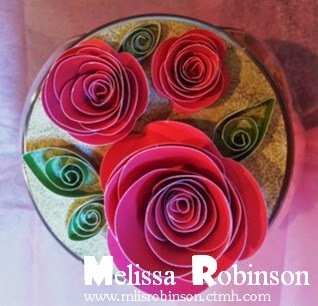 Now, please visit Shirley's Blog to see what fun creation she has designed. I would love for you to leave a comment before you do so! 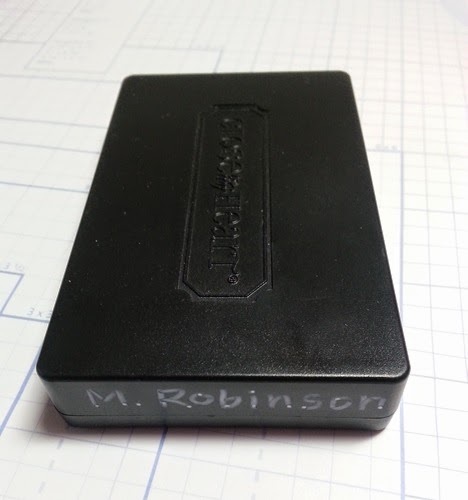 One of the fun new products I have really taken a liking too is our Chalk Marker. It is great for writing on our chalkboard shapes and sheet. It is a white, opaque, broad-tipped marker. I plan on playing with the marker a bit this weekend to create some fun artwork but wanted to show you another great use for it as shared by my friend, Sundi. Because so many of us papercrafters have similar products, you can use it to label your items! Too cool, right?! You can put a coat of clear nail polish over it to secure the writing so it doesn't rub off! I thought it was worth sharing this fun use for the marker that just costs $2.95! Hoping your week is off to a phenomenal start! 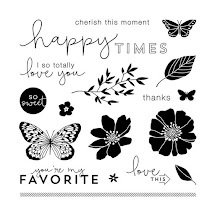 Welcome to this month's blog hop with the "Stamper's with an Attitude" Team where we are creating artwork using the new Ariana paper packet. This hop is one big circle, with 11 participants, so if you have come from Denise's Blog you are on the right track. Should you get lost along the way, you can start back at Sheila's Blog. I decided to use this paper packet to create several 3 x 3 cards, perfect for any occasion. I used a variety of techniques including distressing (to create the faux stitching on this card), masking (to just use the word smile from a sentiment that includes other words, and a few more as seen below on the other cards). I used the Blending Pen to color in the different images, dipping it into the various stamp pads of coordinating colors. I love the soft, watercolor appeal the pen offers. And did you know you can just scribble onto a sheet of scratch paper to change colors?! So you might be saying, "What stamp set is this?" It is called "Enjoy the Little Things" on page 9 of the current 2014 Spring/Summer Idea Book. It is a Hostess Exclusive stamp set which means you can only earn it by cashing in just $6 of your FREE Hostess Rewards, when you host a party (or purchase $150 in products). Here is some artwork created from the Art Department within Close To My Heart that also showcases the stamp images. Too fun, right?! Keep moving through the Blog to see what fun artwork Debbie has in store for you! Feel free to leave a comment before moving on. I would love to know what you think of my cards! This is one of the items I "won" during the artwork exchange at the retreat I attended a few weeks ago. I guess the girl who created it, Jennifer, is all about the Washi Tape and has used it to decorate quite a few items. 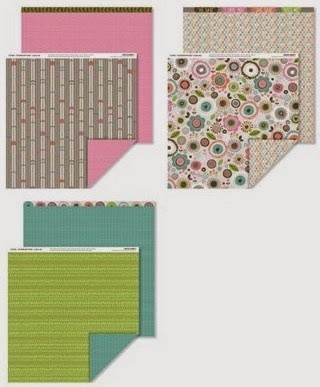 I am placing some Washi Tape on the order I am placing today to see what fun things I can decorate with it! If you have done so before, I would love to see your creation! Leave a comment below and share a link to your photo. Surely you have seen the wonderful campaign being offered this month, through Close To My Heart, if you join the company or better yet, MY TEAM, during this month! You get to choose one of our exclusive Cricut cartridges for FREE! If you want further details on the campaign check out this post. 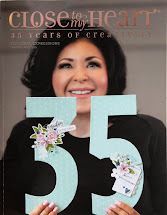 Now, check out this video for another reason you'll want not only our Artbooking Cricut cartridge but products from our Picture My Life Scrapbooking Program. Check out the video and then continue reading this post. ENJOY! WOW! How did you like that?! So many possibilities and so many fun products to create with! I have these product items in my possession and have seen some wonderful creations, like what was shared in the video, using this new product line. I am going to play this weekend, creating some pages using Artbooking and various lines of Pictures My Life! As Monica states on the video, you gotta love coordinating products that work so well together! It is also refreshing to preserve memories with ease using this different style of scrapbooking, providing an alternative to your projects! Check out the blog post from our President & CEO, Jeanette Lynton, with still photos of the artwork featured in the video. Let me know if you like what you saw or if you have any questions. The weekend is on the horizon! Soo...I must admit I started a wreath for Christmas and...yeah...I never finished it. There was something about it that just did not have me motivated to do so. I think it was because it was my first and I did not realize how putting forth a little more effort would make it more full and beautiful. Well, I gave the wreath another try. It was one of our projects at the retreat I attended over a week ago. It was decorated in a different way than the first and I think I prefer this method better. We simply cut 1/2" x 6" strips - I used approximately 5 sheets of B&T paper. We made "loops" - actually we made two loops using two different patterns of paper, poked the stick pin through the ends (to make it stay as a loop) and then separated them before sticking them in the foam wreath. (One of the girls there had an epiphany and this worked easier and faster.) I worked on my wreath while enjoying the conversations in the room so I think it helped me just kind of go with the flow. This is a great task for while watching tv with your family. I love how it turned out. Maybe it is because it is made out of Lollydoodle paper. :) Because of the looping technique used, you can actually use cardstock for some of your loops. (I was not able to use loops with the other process I tried because it is too coarse.) One of the girls at the retreat did add cardstock into her wreath and it looked beautiful! If you have any questions about this process, please let me know. I have this wreath hanging proudly in my studio. Happy creatin'! Thank you for joining me on our team Blog Hop where we are showcasing products using the Ivy Lane paper packet this month. The hop is a circle so feel free to click on the link at the bottom of each post to keep moving through. I have also provided a link to the participant's blogs below. If you are coming from Marianne's Blog, you are on the right track. Thank you for joining us! I am excited to share my creation using the "Ivy Lane" paper packet from Close To My Heart. With the retreat I attended last weekend, we were invited to participate in a gift exchange for altered/papercraft-type items. I pulled from some items I had in my papercrafting studio and this is what I came up with (thanks to the help of my Mom on the quilling). This is a mini cookie jar I had purchased for 1/2 off at a craft store before Christmas. I decorated a few to include some homemade chocolate chip cookies. While I didn't include cookies this time, I did fill it with some Hershey's kisses. It was so simple to decorate as I just cut three circles out of the paper packet - one for each side and another for the top. Then, I incorporated a technique taught to me by one of my downline, Mary Collins. She taught us how to Quill at my retreat in February. The flowers were cut with the Art Philosophy Cricut Cartridge - cut at 5", 3" and 2". 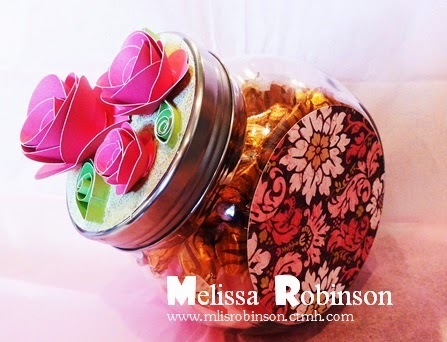 I used Liquid Glass to glue the flower to its' base and then to adhere it to the jar top. The leaves were created by cutting 1/8 strips of paper, curled around the Quilling Tool, and then pinched on both ends to give them their shape. The jar was a big hit with a few people fighting over it to take it home. Now, I think I need my own so I will be creating another one sometime soon. Thanks for stopping by. Please leave a comment, if you will, and continue hopping over to Tonya's blog to see what she has in store for you. Receive $400 worth of products for just $99! You might think I am up to an April Fools shenanigan a few days late but that is not true. What you are about to read is a true and exclusive offer you can only take advantage of during this month! 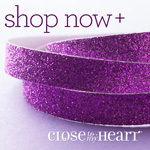 If you have ever thought about being a Close To My Heart Consultant, there is no better time than now to give it a try! 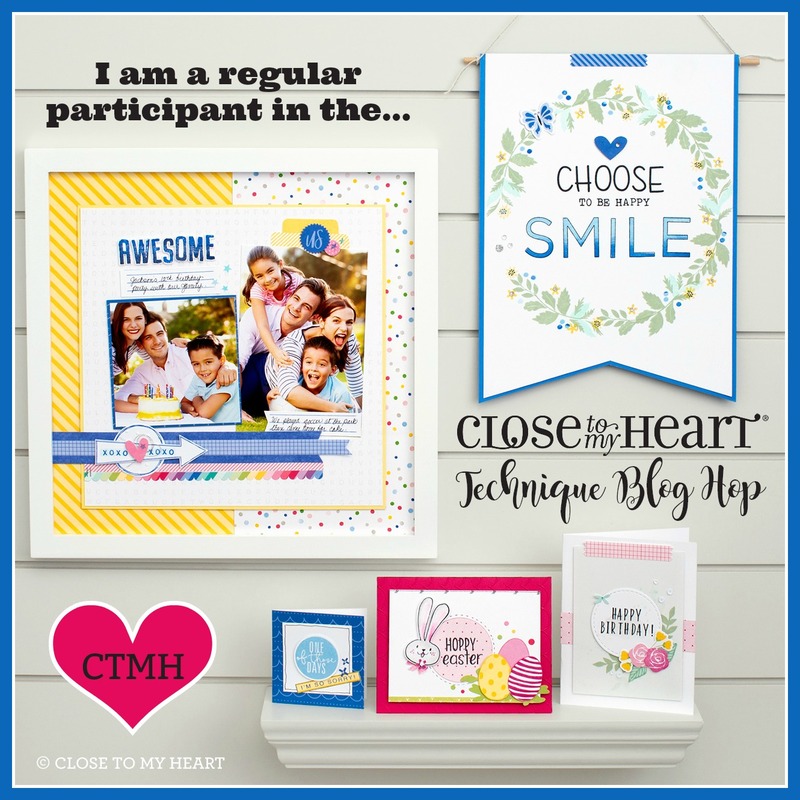 If you join my team as a Consultant before the end of the day (MST) on April 30, 2014 you will receive your favorite exclusive Close To My Heart Cricut collection FREE! We have three collections to choose from including Artiste, Art Philosophy and Artbooking. Each cartridge is unique and valued much more than its' costs although when you pay nothing for it, how can you beat that? Our New Consultant kit is just $99 and comes packed with nearly triple the retail value in products and supplies to help you get your business off to a great start whether you intend on saving money on your own purchases or making this a part-time or full-time business. Plus, when you qualify for the Straight To The Top program, you will be refunded the price of your New Consultant Kit. 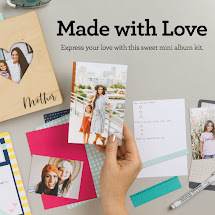 Click here to select your FREE Cricut collection - retail priced at $99 - when you order your New Consultant Kit! I have been a Consultant for more than 15 years and have no regrets. Please contact me if you have any questions or would like additional information. I would love to have you join my team! I took the day off yesterday to relax. Today, I spent my time cleaning (with a little relaxation thrown in). Tomorrow I plan on sorting through some things in my scrap room and creating some items for a blog hop that I will both host and participate in which will go live on the 5th. In attending the retreat this past weekend, the final activity was a challenge. We were provided with some limited supplies and all we could add in was ink and adhesive. Of course, we could use our paper trimmer but that was it! It was fun and I was pleased with what I came up with. The other creations were pretty fun. It was fun to see the various ideas with limited supplies and we were only given 10-minutes in which to create the card. I love the saying I included on this card and try to remind myself of it daily. I hope you do the same.